Rockout. Workout. 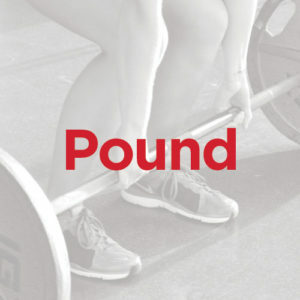 POUND® is the world’s first cardio jam session inspired by the infectious, energizing, and sweat dripping fun of playing the drums. This exhilarating full-body workout is designed for all fitness levels and combines cardio, conditioning, and strength training with yoga and pilates-inspired movements.